So, we live in New York (about 15 mins north of NYC) and today is Halloween. A snowstorm passed through the area on Saturday. It dropped a few inches of heavy snow on us. It was a lot like sleet; really dense. The trees haven’t lost their leaves yet, so they got weighed down much more than they normally would have. Branches came down in the front and back. One of our trees damaged the neighbor’s fence, behind our house. I just came back from there after speaking with them and we’re going to work on removing all of the branches and getting it repaired. He has a chainsaw and I have a recipricol saw. Fun times. Anyway, since Saturday night, at about 7 PM, we lost electricity. We got it back last night (Sunday) at around 11 PM. I wasn’t able to plug in my bass to practice, so I practiced unplugged scales and chords a bit by candlelight, while the wife worked on an ethnographic paper. Its actually kind of cool to practice like that. It doesn’t make much sound, but before I had an amp, I used to do that, just to familiarize myself with the fretboard and practice striking the strings. So, I was reading the TalkBass forums and I came across a thread about RockSmith, a “game” coming out for the Xbox 360, Playstation 3 and PC. The game will allow players to use real guitars to learn how to play songs. It supports both rhythm and lead guitar, and according to comments which I’ve read, it is going to offer bass guitar support as DLC (downloadable content) in the future. I think this looks promising, and the reviews I’ve read on Amazon seem to say its really more of a guitar tutor than a game. One of the reviewers said that in general, gamers are rating it low and guitarists/learners are rating it high. It seems to be tab-driven, overall. After reading about RockSmith, I looked around a bit more and discovered another product, a freeware program for Mac & PC from Denmark called Offbeat Guitarist. Its similar in concept to RockSmith, but shows notation as well as tablature. It also reads tab in some way, which means that theoretically, a user can import tab from the internet for any given song and learn to play it using the program. I like that it shows notation as well, since I’m learning that. I created a file in Word that lets me keep track of what I’ve been practicing. I’m going to use it to structure my sessions because I still feel kind of lost and the end of November will make it a year since I started practicing (even though its really been more like 3 months of actual practice). The file is divided into technique, theory, reading and “other”. Entries are made per day, on dates that I get to practice. Later on, when I find a good way to post it up so that I can edit it after practice sessions, I’ll do that. So, I’m going through Bass Guitar Exercises for Dummies and I decided to use it for a technique exercise first. I started with an early exercise in Chapter 2 called “Referencing each string”. For some reason, my head is cloudy right now, so I didn’t do exercises that reference all of the strings as starting positions. Instead, I made a variation so that I can start with just the E string. I also added some fretting, to keep my fretting hand involved. Chris Hargreaves, affectionately known as ‘Fatty’, is the group’s perpetual voice of optimism. He has played bass guitar and synth bass with a range of artists, as well as touring extensively throughout the world. Fluent in soul, hip-hop, reggae and dance styles, he’s performed with Andreya Triana (Ninja Tune), Homecut and Ariya Astrobeat Arkestra (First Word), Takura (Chase and Status) and many more. In one of the threads on TalkBass, a member was complaining about the speed in which his lessons were moving. He feels that he’s not covering much ground, considering that he has about 10 years of experience playing guitar and bass and for the past 2 lessons, his instructor has only shown him 3 arpeggios. I believe that he’s looking for a structured approach to learning the theory behind what he’s been doing for the past decade. One of Joe’s points is to take time to improvise every day, not to save it for special moments. I found this especially interesting because I’ve only recently started to spend time, at the end of each practice session, just messing around with things I’ve been practicing. For example, if I’m learning a scale or chord, I try to come up with an interesting pattern using it when I’m winding down. I then try to blend it into something else that I’ve learned, like when I was practicing major triads a lot and began to mix them with minor ones. I don’t think that what I’m doing is full-on improvising, but at my level of skill, it suffices, and it lets me experiment with sound, which, for me, is a fun way to reinforce practice. Ok. I’m going to revise something that I said in my last post, and you can all learn this with me. What we’re doing on bass made a lot more sense to me after seeing this. Chord: For most instruments, a chord is a group of 3 or more notes that are played together. They blend together to create a more complex sound. Chords can be played on bass, but because bass tends to control a low register of sound, this isn’t done as much as other instruments like guitar or piano. Many people describe the sound of chords played on the lower frets of the bass as muddy. 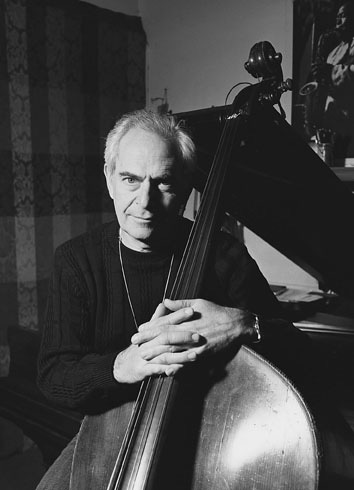 Two notes played together on bass is not called a chord. Its called a double-stop. Chords are made up of specific notes (described below) and can be played in any order. Arpeggio: Arpeggios are basically chords in which the notes are played one at a time and in order. This order can be first-to-last or can be reversed. Arpeggios are often just called chords by other musicians because they have the same notes. 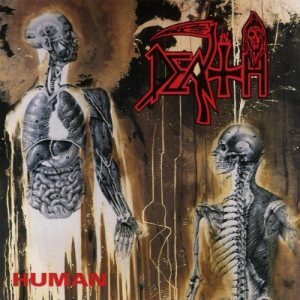 The Burning Ambulance review of the 2011 remastered reissue of Human (originally released in 1991), from Death is great for its complimentary historical references. Its the 20th anniversary release. I’ve actually been listening to this and the bonus stuff while I drive for the past 2 weeks. Wifey has gotten to really like Lack of Comprehension as well. RIP Chuck. That’s Steve DiGiorgio on fretless bass, BTW.